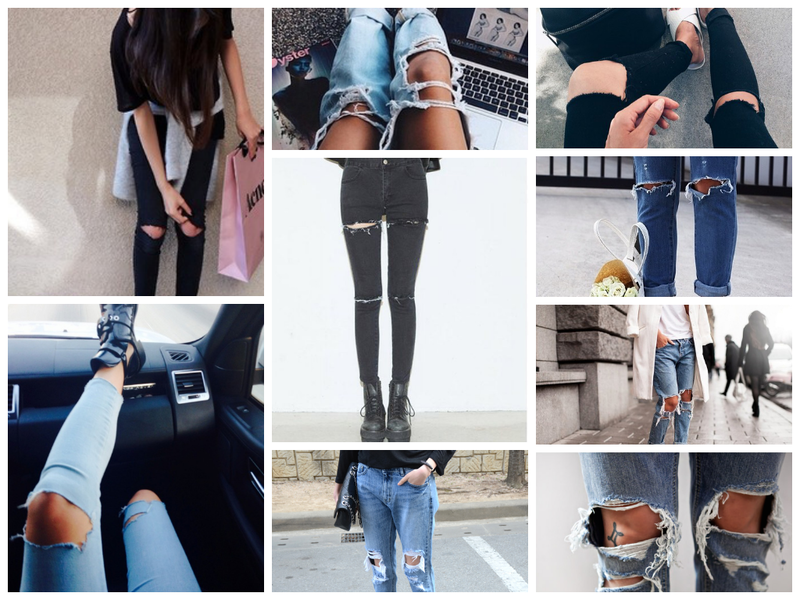 Ripped Jeans || Favourite Trends | RAWR BOWS. Hello people! Today I'm gonna be talking about one of my favourite trends for this autumn/winter; ripped jeans. I remember a few years ago when ripped jeans became trendy and I bought a pair. I wore them for about two or three months before I decided thhey had gotten too ripped and I put them in the back of my wardrobe. Now, I'm glad I kept them because I am definitely wearing them again this next season. There's something about ripped skinny jeans that captivates me, it might be how stylish and chic they look and how easy they are to style. Pair them with a white or grey tee and a pair of black booties or converse and you will look fab. The only downside could be the price as they tend to be more expensive than regular jeans even though technically they have less fabric. I've found some affordable one at places like Boohoo or Missguided but, of course, the cheapes way to get them is to buy plain skinny jeans and cut them yourself. There are plenty of tutorials on YouTube! What do you think of this trend? Do you like it? I love ripped jeans too, they're so particular. love a good pair of perfectly distressed denim! Es una de mis tendencias favoritas este año.